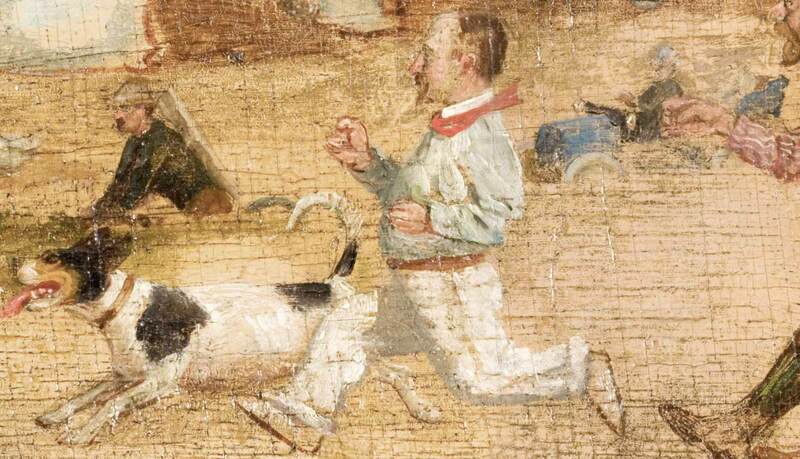 Being so youthful and fit, he won the foot race during one of the art colony’s field days competitions, and is depicted in The Fox Chase breaking away from the pack of artists. 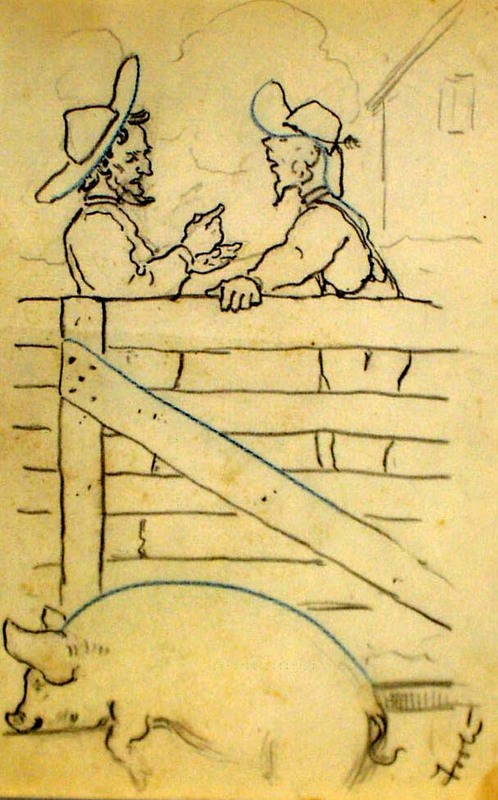 Foote was one of the youngest artists affiliated with the Lyme Art Colony. He painted several versions of Miss Florence’s house. Foote purchased a house just up the street from the boardinghouse and enjoyed painting the lush gardens. In reality, however, he was very much central to the group of painters. 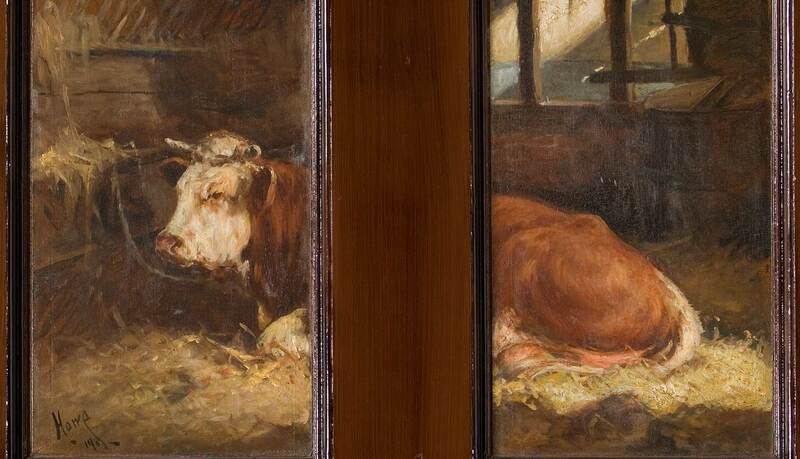 Foote came to Old Lyme with his uncle, William Henry Howe, the artist famous for painting cows. Together, they join the group of artists invited by Ranger to board at Miss Florence’s. Foote was clearly a fan of the wiggle game, the drawing game the artists played in the parlor in the evening. 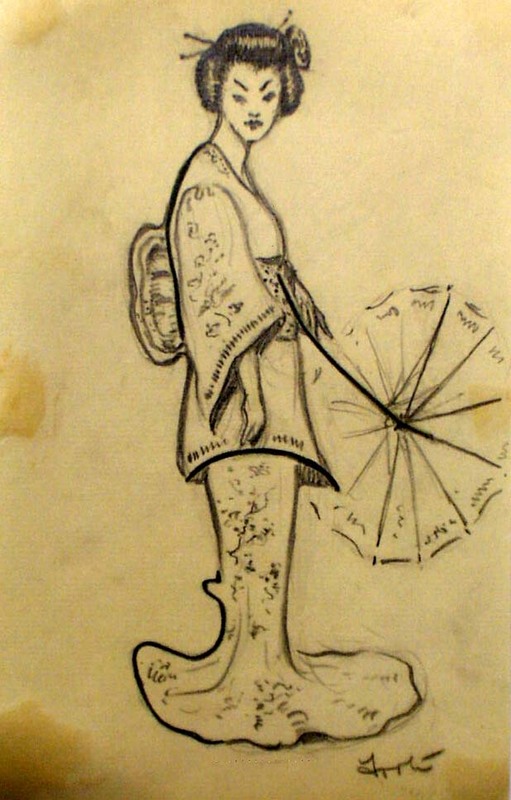 The Museum currently holds over 40 examples of wiggle drawings signed by Foote. 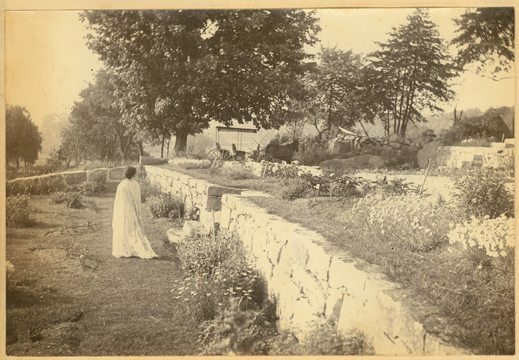 Indeed, Foote returned to stay with Miss Florence every summer until 1909, when he and his wife built a house on the Lieutenant River, just up the road from the boardinghouse, complete with a studio and exquisite landscaping that featured formal gardens. Born into a prosperous family with ties to the burgeoning furniture business in Grand Rapids, Michigan, Foote was encouraged to pursue his interest in art. He attended the Art Institute of Chicago and later the Art Students League in New York. In 1897, he sailed to London with his father and two art friends (one of whom was the noted American Impressionist Frederick C. Frieseke) and later traveled to Paris where he enrolled in the Académie Julian. Foote returned to the United States in 1900, and came to Old Lyme the following summer. In 1902, he was hired as an assistant to Frank Vincent DuMond, the director of the Lyme Summer School of Art. Foote continued to teach privately in Old Lyme even after the art school moved to Woodstock, New York. 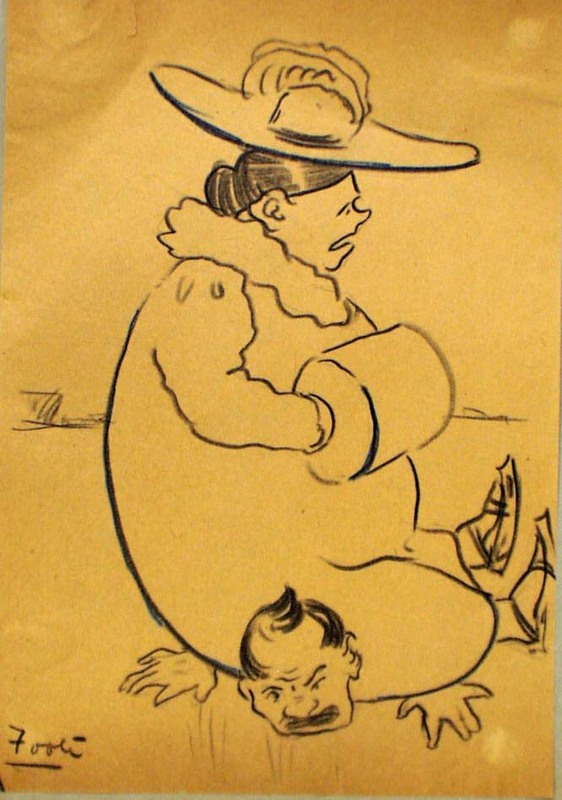 One of his most prominent art students was Ellen Axson Wilson, President Woodrow Wilson’s first wife. 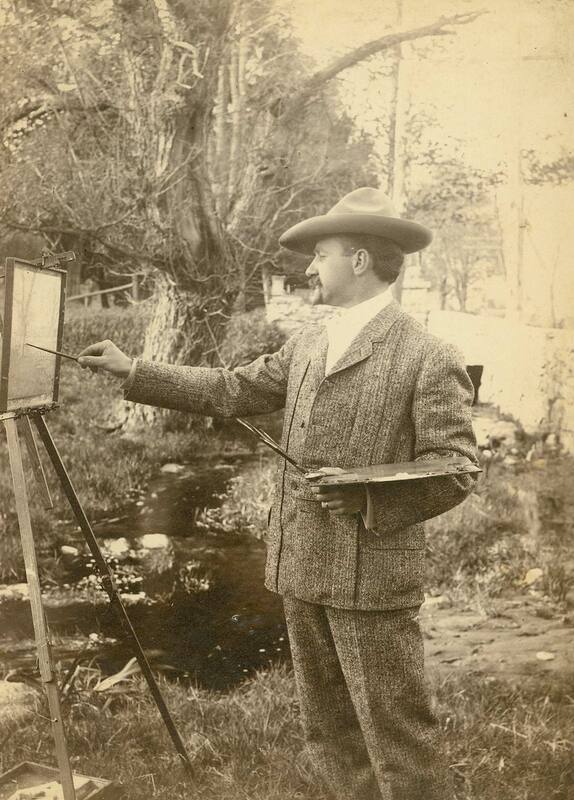 In 1907, he married Helen Kirtland Freeman, an art student who came to Old Lyme to study with Henry Rankin Poore, the artist who painted The Fox Chase. His good friend, William Chadwick, another Lyme artist, was his best man. Being a perfectionist when it came to his art, Foote destroyed anything that he didn’t believe was his best. This, and the fact that he was not fond of working in greens, the color that dominates the Old Lyme landscape from early spring to midsummer, there are relatively few Connecticut scenes painted by Foote. 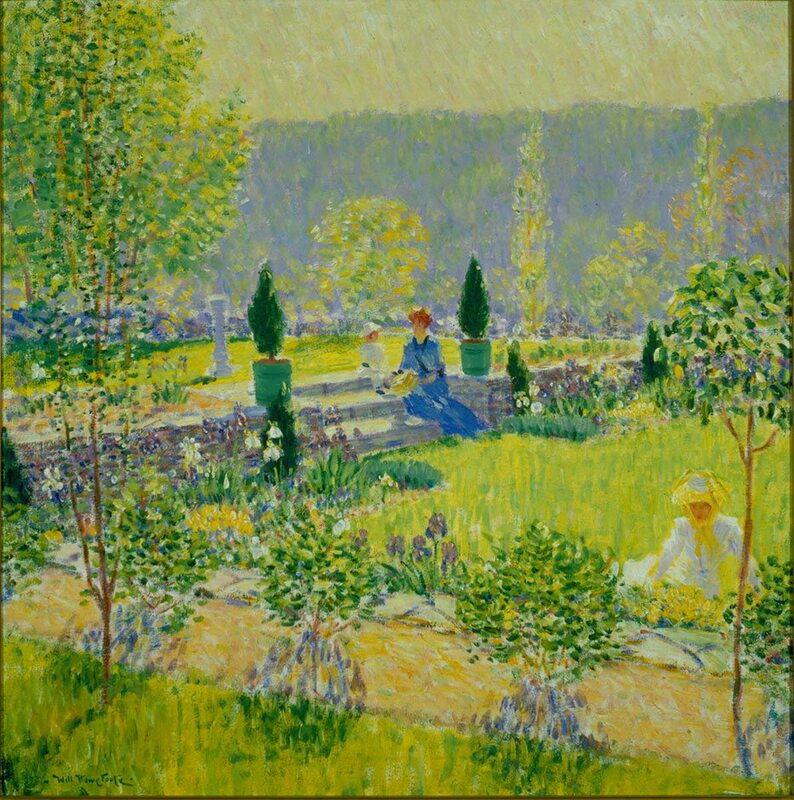 His early work was linked to the tonalist painters who started the art colony such as his uncle, but with the arrival of Childe Hassam and Walter Griffin in 1903, his paintings began to take on a more impressionistic look. His color palette lightened, for instance, and he experimented with putting more than one color on with his brush at a time. 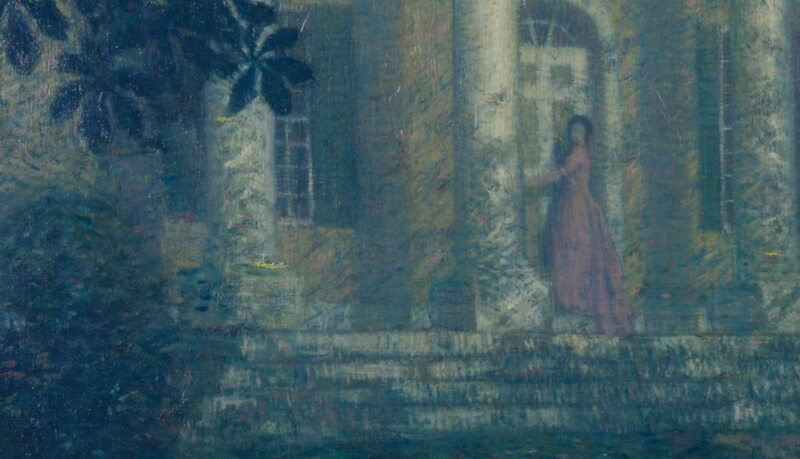 In 1906, he painted A Summer’s Night showing the front of the boardinghouse shrouded in sycamore leaves with Miss Florence standing on the porch looking towards the viewer over her shoulder. The year before, he painted the front of the house on a panel for the dining room. Indeed, both paintings predate the award-winning May Night (1907), a similar moonlit composition by Willard Metcalf. When not painting in Old Lyme, Foote could be found on either the rivers or roadways that surrounded his adopted community. He brought his canoe with him during the early years and would spend early evenings exploring the marsh. 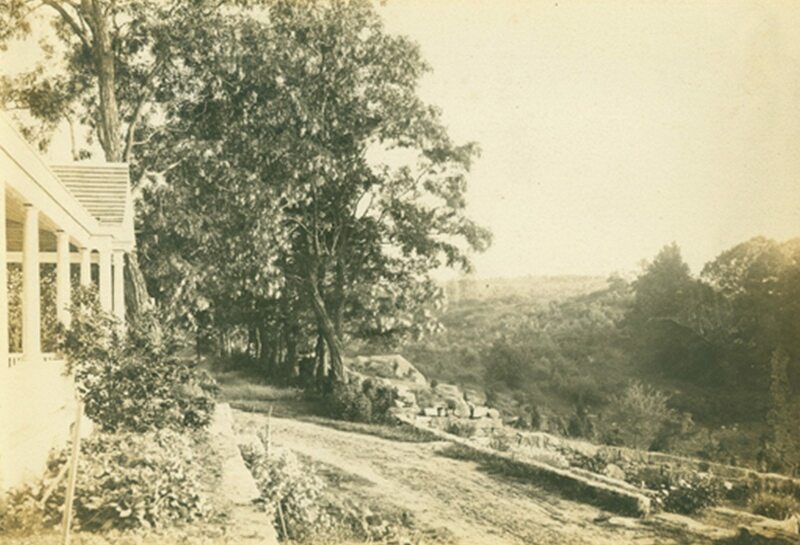 He was also quite fond of his automobile and would drive around Lyme in search of paintable subject matter. Other days would find him swimming in Long Island Sound or playing a round of golf at the Old Lyme course. When he died at age 90 in Florida, he was brought back to Old Lyme to be buried next to his wife on the Artists’ Knoll in the Duck River Cemetery near several art colony friends including William Chadwick and Harry Hoffman.